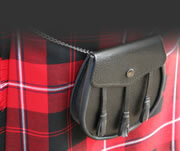 Jump to... College of Piping Volume 1 Book with CD-ROM The Gordon Highlanders "Pipe Music Collection", Vol. 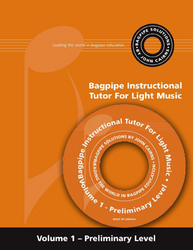 1Bagpipe Instructional Tutor for Light Music Volume 1 Preliminary LevelBagpipe Instructional Tutor for Light Music Volume 2 Beginner LevelBagpipe Instructional Tutor for Light Music Volume 3 Beginner LevelThe Notation and Tuning of the Highland BagpipesPipe Teacher's Assistant Vol 2 Some Great 6/8'sPipe Teacher's Assistant Volume 4 Irish Airs and QuickstepsBagpipe Solution Book 4	J. McGillivray "Rhythmic Fingerwork"
 Know how to do some key exercises to stretch their fingers, hands, shoulders and forearms. On average, a student should be able to complete all of the requirements contained in this tutor book within one to two months. There are no prerequisites to begin the training at this level. Anyone who has an interest in learning how to play the bagpipe, regardless of whether they have had any previous bagpipe training or any musical training for that matter, will be able to work their way through this volume. © Copyright Wee Hoose of Supplies, LLC. All rights reserved.